Intensive care unit clothes for tiny babies from 2lb in weight. this department now covers the top designer clothes for tiny babies only. 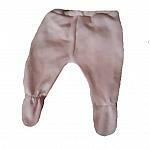 easy fastening intensive care unit vests, leggings, tops and the very latest designer clothing in tiny babies sizes. you will love these so much the quality is stunning. Hand picked by us in person shipped direct from the manufacturers in Europe. we expect these to be a hot seller images coming soon. Coupled with little Nicu hats these intensive care clothes are an ideal gift to buy. Compared to supermarket lines that so many other babies in hospital will be wearing. these clothes Give your grandchild the precious individuality they deserve. you will be delighted with these so soft fabrics as much as we do. fabrics that are kind worn next to baby's tender skin. Mix and matchable outfits perfect when baby is allowed to wear layers.